Hello friends and family back home! This last week we have seen some successes – the best was the baptism of my 10 year-old friend, Jonas! He is really smart and had a desire to be baptized so we taught him the lessons and he came to church regularly and he has now been baptized. It was really cool. We are also working with a set of twins who are also 10 years old and they want to be baptized so please keep them in your prayers. baptism of Jonas – my little buddy! I am getting excited ako sa next week for the Mother’s Day Skype call! On that day we are going to be traveling to another City for a Zone activity, so there should be better high-speed internet connections and the call should go smoothly. For the Zone activity we are going to go to a beach and shoot Airsoft guns at each other so that should be fun! 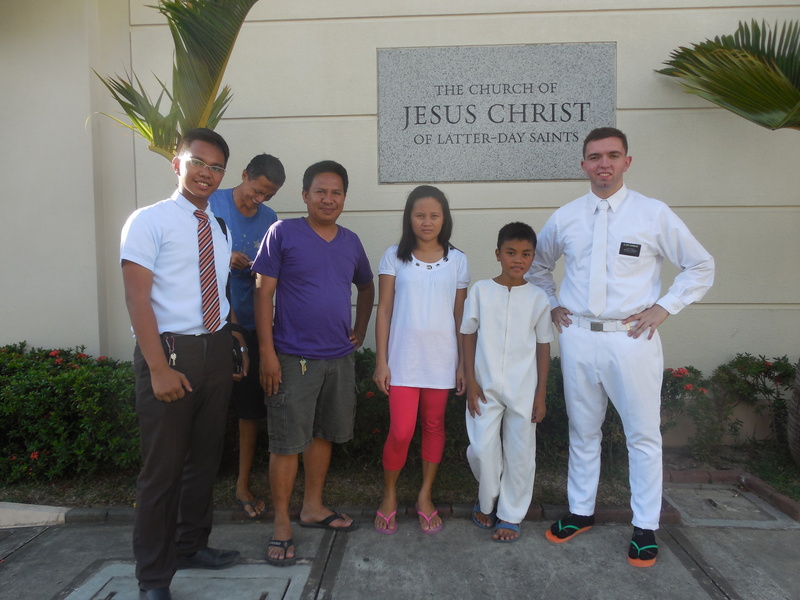 My companion, who is a new missionary, is doing well so far. He gets really tired and he has a hard time physically speaking so we are working around that. His condition is that when he talks, he can’t tell how fast or slow, soft or loud, deep or high he is talking. So it is sort of a pitch and tone deafness that he has. We’re working to overcome it though and I was thinking that I should have studied linguistics before the mission huh!!??? Well, that’s about it for this week – we are working hard and staying safe!